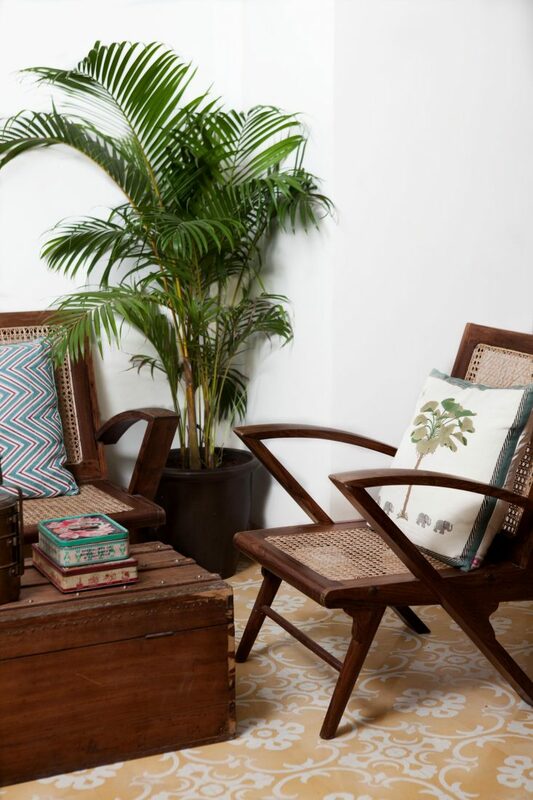 Vintage hospitality and design in the heart of Bombay. 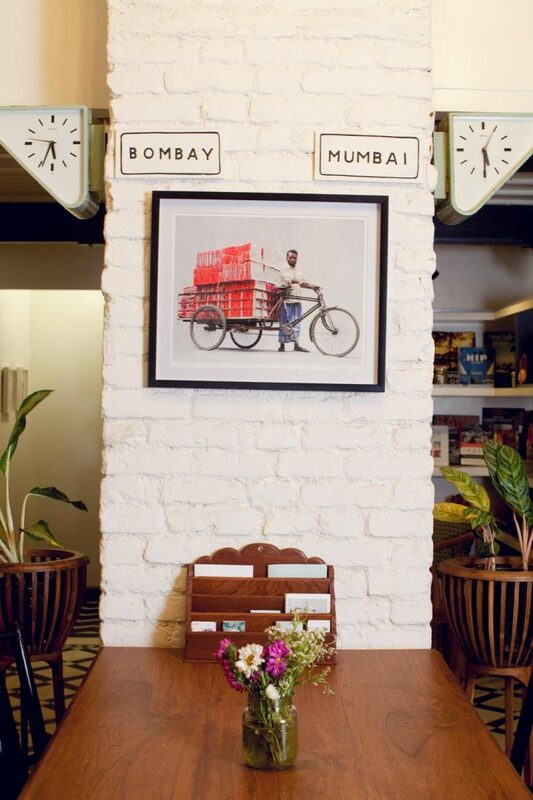 Bombay has a long, rich history that can be seen and felt by anyone that visits this thriving Indian metropolis: from its days as a trading post, to the era of British Rule, from Bombay’s Art Deco period all the way to the modern Mumbai that we know today. It was with this history in mind that the founders of Abode, Bombay’s first real boutique hotel in the heart of the the city’s Colaba district, came to conceive a unique hospitality experience through design and storytelling, drawing from the unique context and history of greater Bombay. 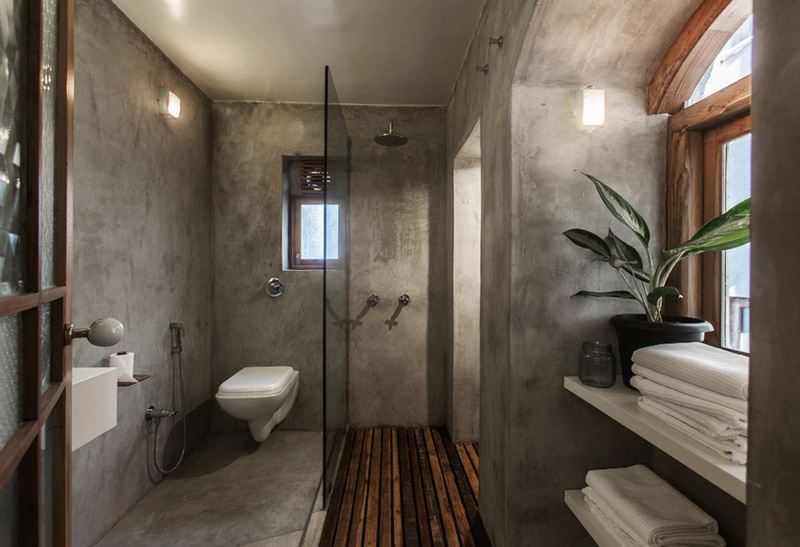 Conceived by the Melbourne-based design studio Young Citizens, Abode is nestled inside the historic, early 20th century Landsowne House, smack in the center of Bombay’s bustling Colaba district near the iconic Gateway to India. With the home having passed through various hands over the years, and losing much of it’s original charm and features in the process, the designer’s intent was to uncover the rich historical layers that overlap each other within the home itself, using locally sourced materials, furniture and decorations to tell its story. At Abode, guests are greeted via a common entry and lobby that does away with the traditional reception desk. 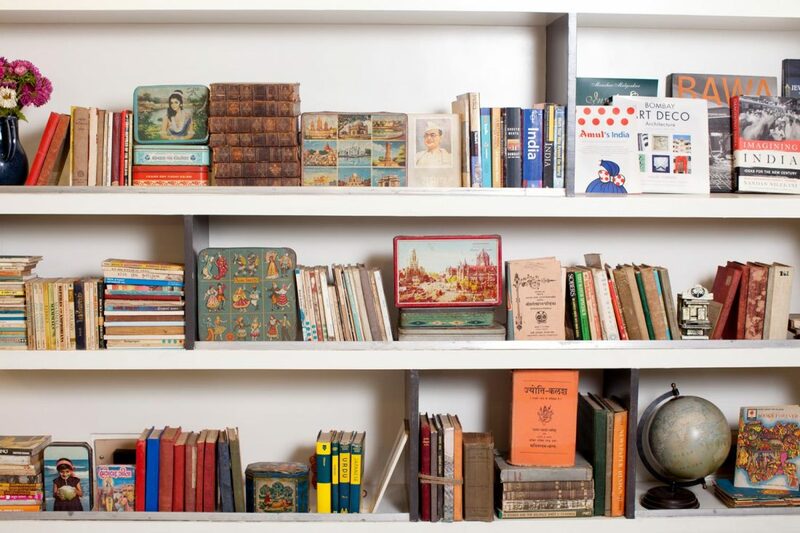 The space feels casual and welcoming, providing a place of social interaction where guests can chat over a cup of tea or read up on Bombay’s architecture in the hotel library. 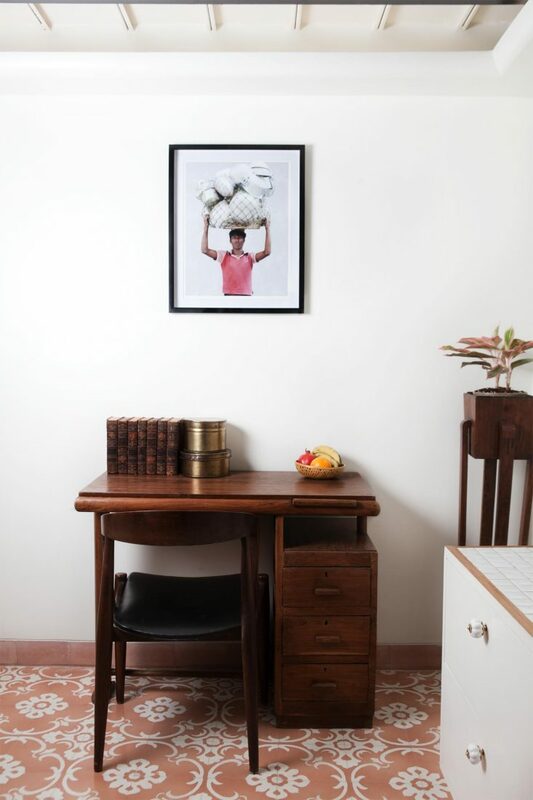 Everything here is a nod to Bombay’s history: market-sourced vintage furniture and objects can be found throughout, along with Art Deco detailing and the home’s original 19th century chandelier. 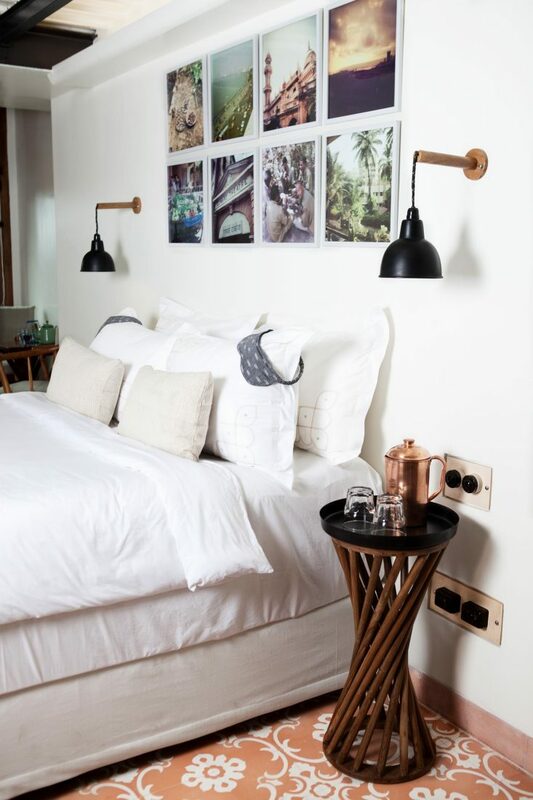 Each of the 12 guest rooms on the main level are fitted with bespoke cement floors tiles that give each room it’s unique identity, complimented by restored, market-sourced furniture, luxury bedding and custom lighting by Young Citizens. The 8 smaller rooms in the upper attic are equally distinctive, with vintage furniture and reclaimed Burma Teak wood floors throughout. After a day of exploring what Bombay has to offer, guests can be treated to Abode’s Spa Room, where a selection of the best local, independent therapists provide everything from standard massages to more innovative spa treatments. What makes Abode even more unique is its affordability: Standard rooms start at 110 Euro per night while they charge you 175 Euro per night to stay in one of the Luxury Suites.